Another in a series of small petrol stations on this old section of the A1. A Little ChefHistory and forecourt opened here in the late 1960s as a brother to North Muskham. 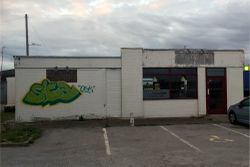 It closed in 2008 and became Cafe Amore, which itself closed in 2015 and is now an empty building up for sale. 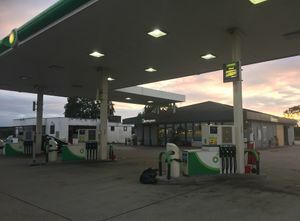 The filling station was sold by The Carsley Group to Applegreen, who use the heavily potholed restaurant car park as their own. The service station is named after the adjacent village of Cromwell, but some documents still call it 'Oliver Cromwell service station'!